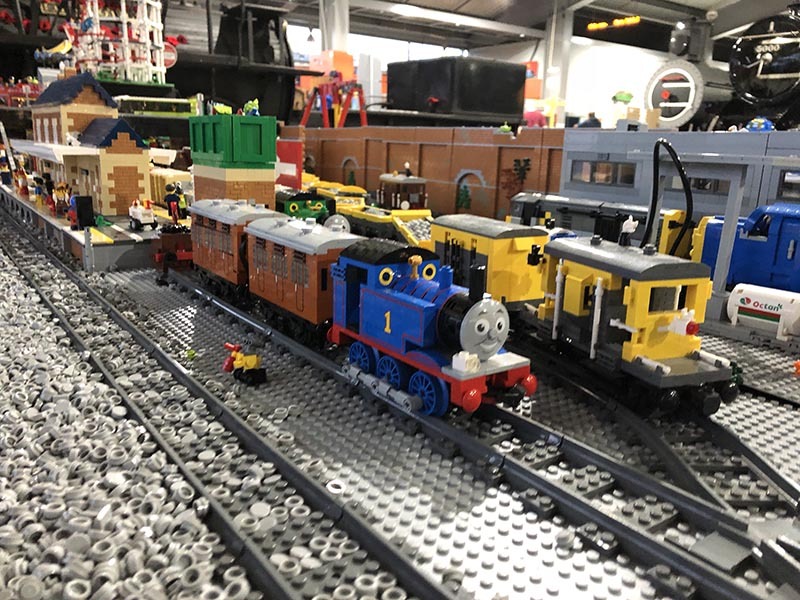 Here is our (probably just about) up-to-date list of LEGO locomotive models. 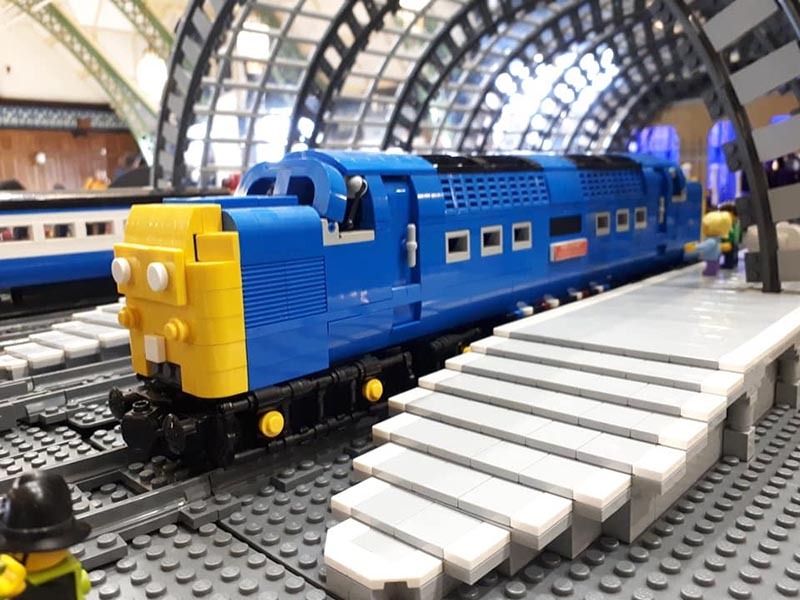 We have an eclectic collection of LEGO locomotive models, mostly based around British locomotives from the early 20th century onwards, but some members also have quirkier models from other continents, or which aren’t based on any particular prototype. Not all models will attend all shows throughout the year! Sorry – we do our best to rotate a mix of old favourites and new models at each show. Instructions are very likely not available for most of these models (see our FAQs); many of our builders tend to build by trial and error, without using digital designers such as LDD or Bricklink’s Stud.io. 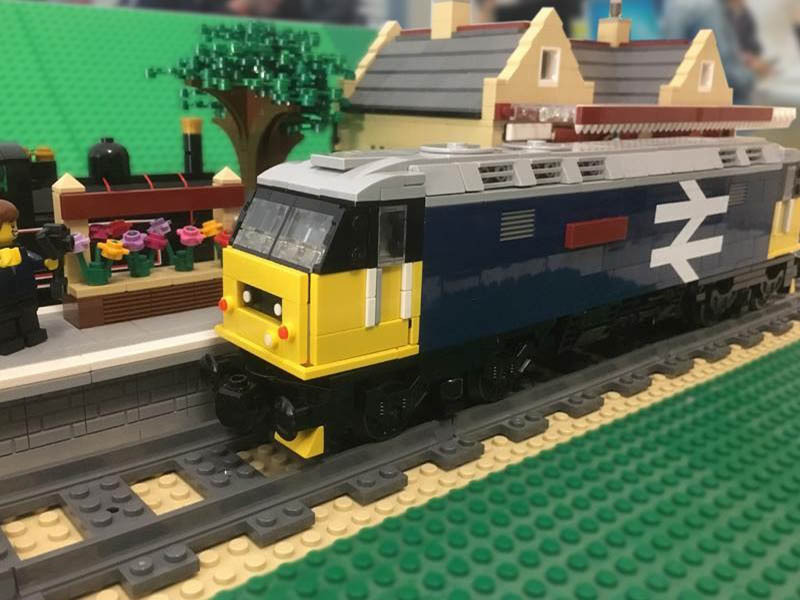 Isaac’s LEGO Mallard model made its first appearance at Shildon Brick Show in 2017, and has been a firm favourite with members and the public ever since! 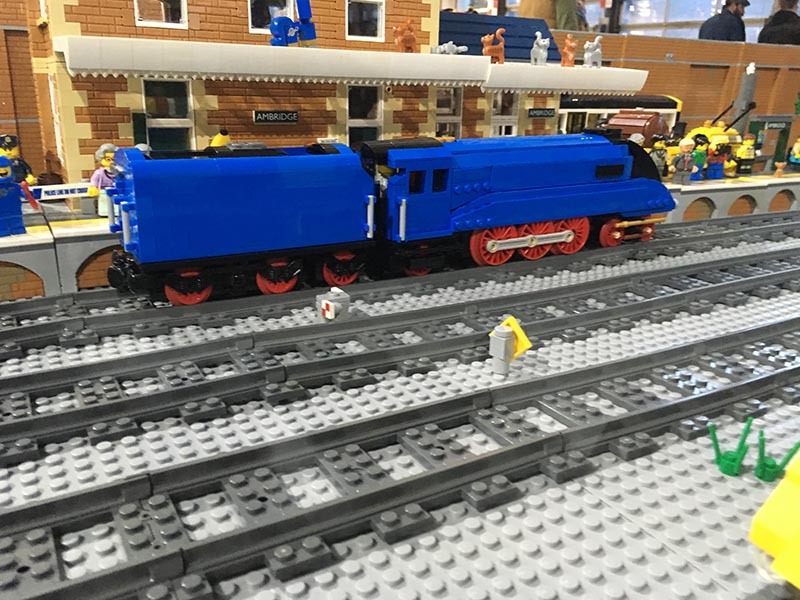 Isaac’s LEGO BR Class 47 is a big departure for him – he’s usually found building steam locos! 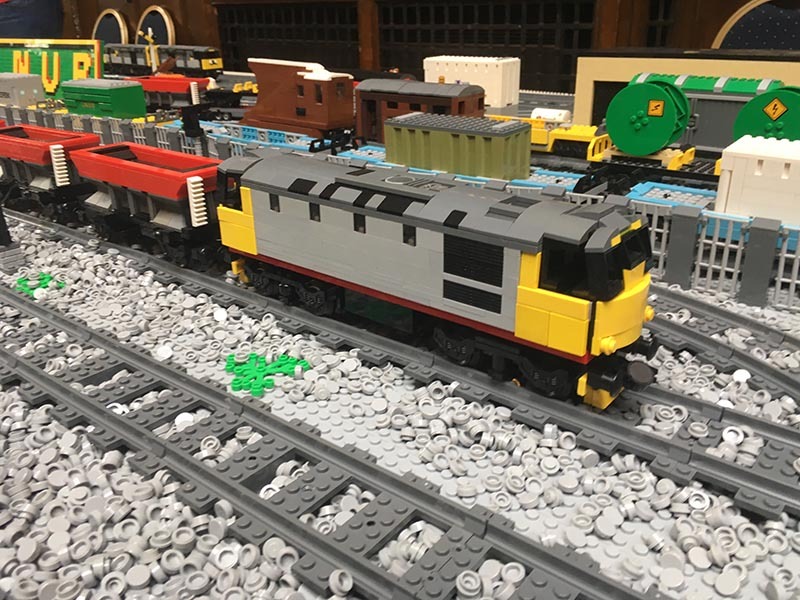 This is Jack’s interpretation of a LEGO BR class 55 locomotive, based on an original design by Bricktrix. 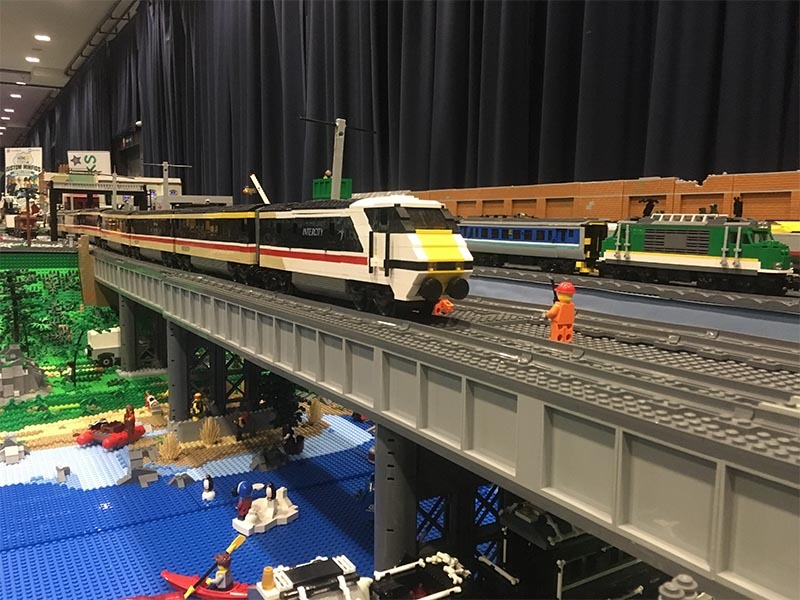 James’ LEGO Intercity 225 (featuring this BR class 91 and a driving van trailer) reaches a whopping 9ft long, and is hugely popular at shows. 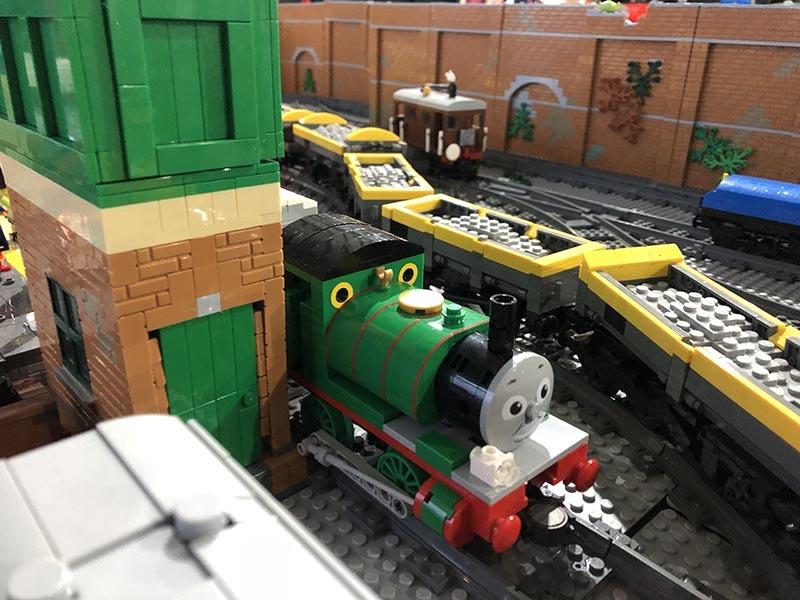 A regular favourite of LEGO and Thomas & Friends fans of all ages, he appears alongside Percy and Toby at many shows. 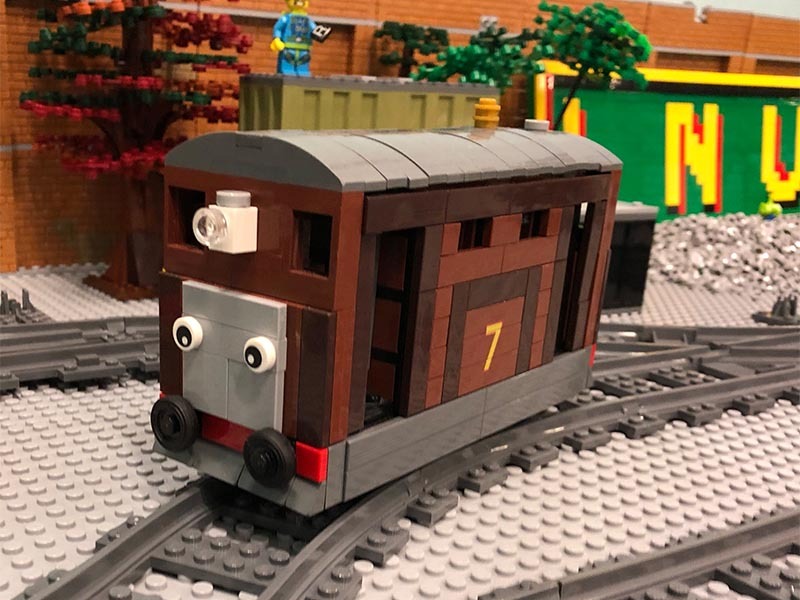 This LEGO Toby the Tram model by Richard Carter is a popular sight at LNUR displays.